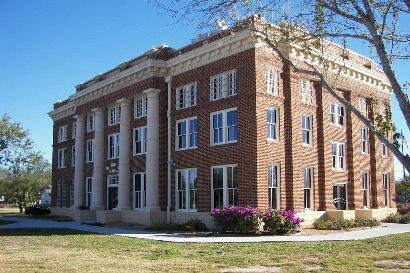 Kenedy County Courthouse, Sarita, Texas. 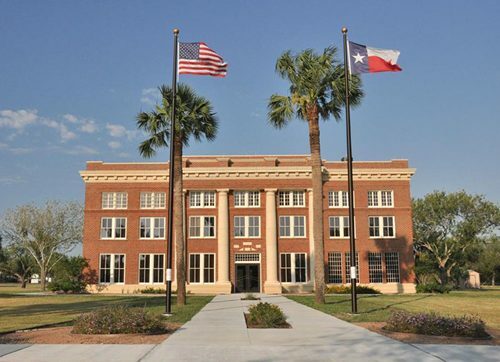 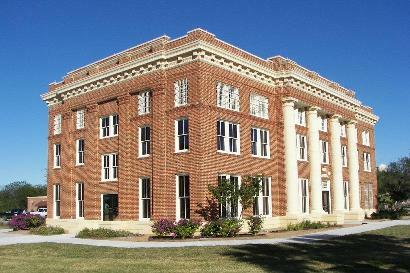 "On May 28, 2010, the citizens of Kenedy County celebrated the completion of the restoration of their county courthouse. 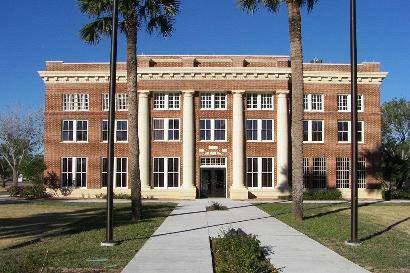 According to a May 27, 2010 article in the Corpus Christi Caller Times, the restoration cost more than $4 million, paid for by the county and not through the state's courthouse restoration program. 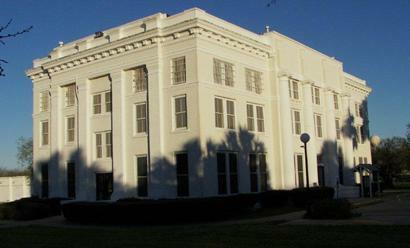 The courthouse originally cost $19,000 to build. 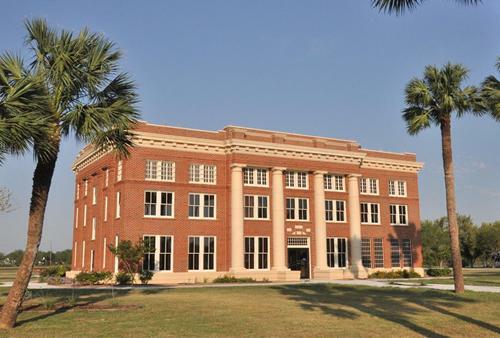 Due to the moisture that built up after the addition of the white stucco, the exterior brick and stone had deteriorated and had to be replaced. 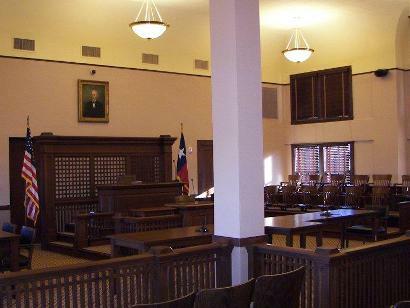 The original paint schemes were uncovered and duplicated, with tan and light green in the hallways and tan and gold in the courtroom. 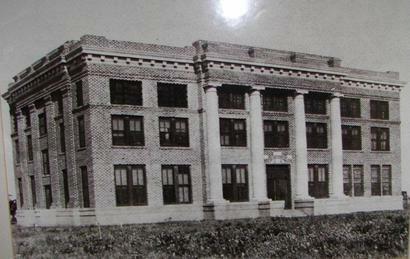 Original carpet samples were also found and duplicated. 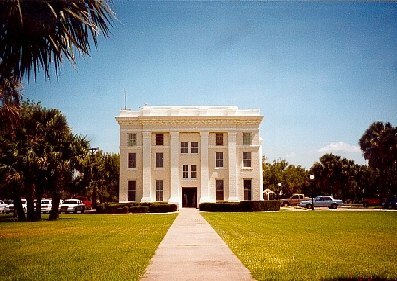 This picture of the Kenedy County courthouse hangs in the first floor hallway of the courthouse. 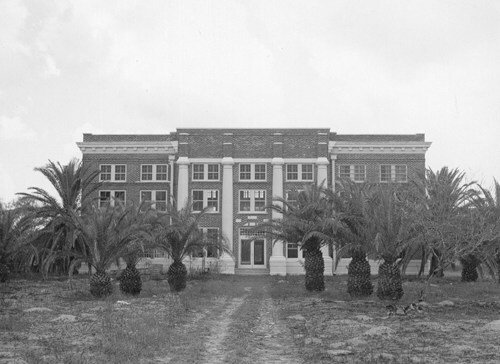 The building's original brick exterior was covered by stucco. 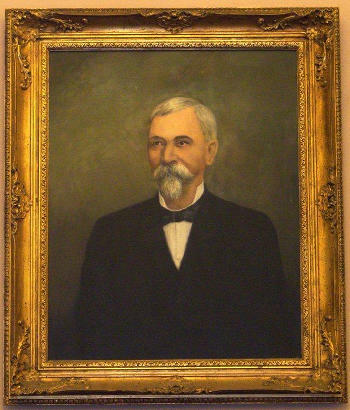 Oil painting of Mifflin Kenedy, the county's namesake, hangs above the judge's bench.